On Fri., April 6, Belmont alumnus and Grammy Award-winner Brad Paisley prepped for the hometown show of his current Weekend Warrior World Tour with a special pre-show sound check with approximately 200 students from the Curb College of Entertainment and Music Business. 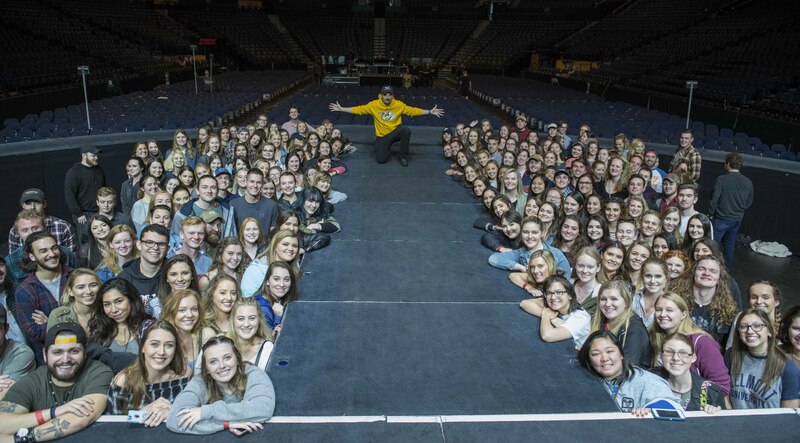 The students were invited to Bridgestone Arena where Paisley hosted them for a few songs during sound check and then offered career advice and conducted a Q&A session. The students were also able to attend the evening’s performance.